A court in Bongaon, North 24-Parganas, yesterday sentenced three Lashkar-e-Toiba militants, including two Pakistani nationals, to death on the charge of waging war against the State. This is the first time in recent memory that Pakistani nationals have been given the death sentence in Bengal. Those convicted were Mohammed Yunus and Mohammed Abdullah from Pakistan and Mohammed Muzaffar Ahmed from Anantnag in Jammu. The three were pronounced guilty on January 19 after a nine-year trial but the quantum of punishment was decided today. Their lawyer said the trio would move a higher court challenging the verdict. The three militants were arrested by the Border Security Force on April 4, 2007, along with another suspected Lashkar member, Sheikh Sameer, while trying to infiltrate through the Bangladesh border in Petrapole, North 24-Parganas. 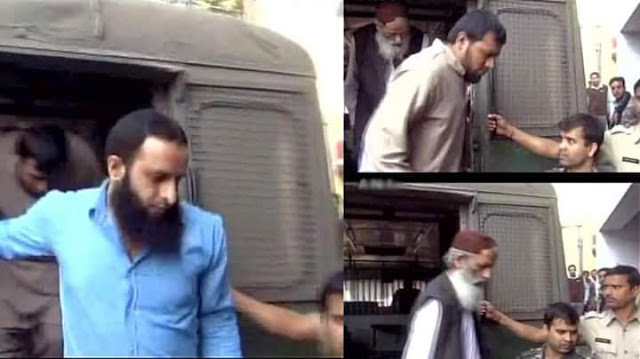 The four were taken to Maharashtra as the National Investigation Agency wanted to question them. While returning to Bongaon, Sheikh Sameer escaped from police custody when the train they were travelling in entered Chhattisgarh. Sameer is still untraced. The police said high quantities of explosives and a number of fake documents were recovered from their possession. The case was later handed over to the CID, which charged the trio under Section 121 that deals with waging or attempting to wage war against the State. In its chargesheet, the CID had mentioned that the terrorists had entered the country to target military establishments and important structures in Jammu and Kashmir. Sources said the police had found pictures of several bridges and railway stations from the terrorists. The sources said the four had taken refuge in a generator room in a marketplace near the Bangladesh border area after sneaking in. The BSF found them hiding and handed them over to the police. During the course of investigation, the police were believed to have learnt that Yunus was a Lashkar "suicide squad" member and had travelled to Dhaka along with Abdullah. According to police sources, Muzaffar had gone to Bangladesh to help Yunus and Abdullah sneak into India to carry out subversive activities.